Cloud service demand due to digital transformation is changing the delivery of business-oriented solutions, in a market shift impacting the entire supply chain. Such change has resulted in service providers ramping up investments in new offerings to cater for changing customer requirements - not just for new infrastructure, but also applications, and managed and professional services delivered via cloud services. As a result, research from IDC highlights that across Asia Pacific, service providers are rapidly exiting traditional business models, with only two-thirds expected to have the same route to market by 2020. 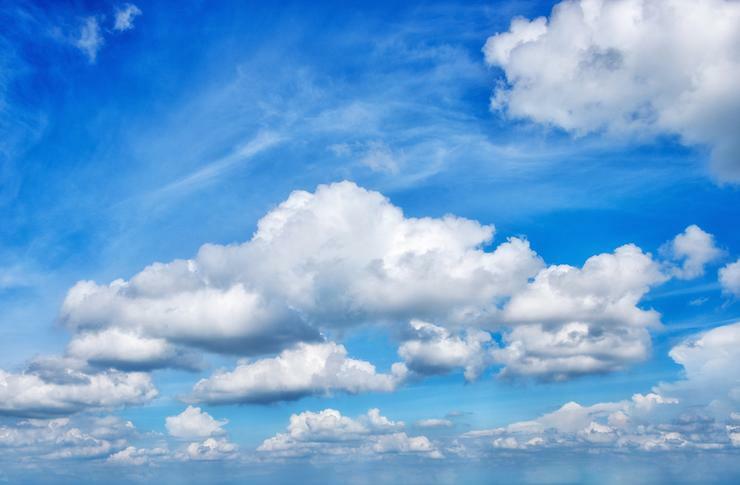 “Cloud service providers around the world are rapidly changing their business models in response to unprecedented customer demand, offering a mix of new cloud infrastructure, application, and managed services as part of an agile investment strategy," said Chris Morris, vice president for cloud service providers at IDC Asia Pacific. “What is striking is not only the pace of transformation, but also the variety of offerings coming to market as a result. 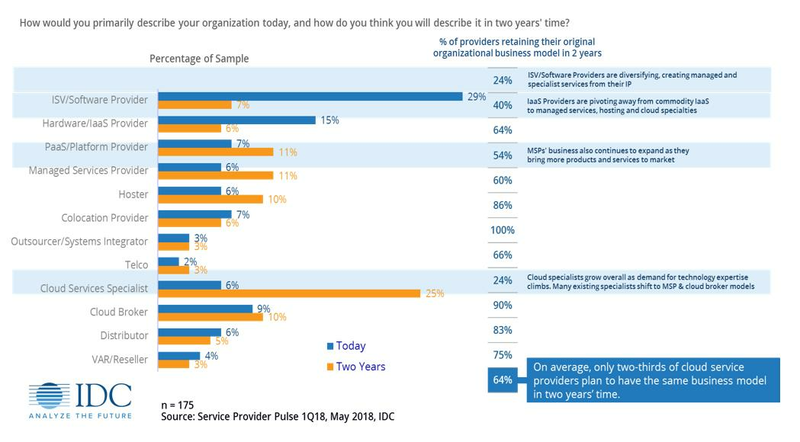 Delving deeper, Morris said regional cloud service providers - including systems integrators (SIs), value added resellers (VARs) and distributors - are “dramatically shifting” business models to managed services, platform-as-a-service (PaaS) and cloud. On average, only two-thirds of cloud service providers plan to have the same business model by 2020. “Unsurprisingly, security is the most important consideration for 38 per cent of cloud service providers to achieve their business goals in the next two years,” Morris explained. Consequently, security services will account for the largest increase in new cloud service investment with 44 per cent indicating that by 2020 they will bundling managed security services and professional services with infrastructure service offerings. Furthermore, findings show that 81 per cent of service provider revenues are for services above the infrastructure level, with opportunities existing in managed and professional services pulling-through demand for the underlying cloud services. “Professional services are now a larger part of the revenue profile for smaller providers as they replace their traditional resale and hosting revenue streams with new managed services, while larger organisations are more focused on security services,” Morris explained. While resale of services from the hyper-scale cloud service providers is common, Morris said maintaining control of their own IT is a key business strategy. Within this context, 69 per cent are planning to increase their level of spend on software, device, and/or IP development to better compete. “Software specialists will increasingly become services specialists over the next two years, creating offerings usually associated with managed service providers, cloud service providers, hosting firms, telco providers, and outsourcers/systems integrators,” Morris added.